If someone becomes less able to look after themselves either due to age, infirmity or illness, the local social service department is responsible for arranging support. Initially a community care assessment of their needs is undertaken to ascertain what support is required. If the care assessment shows that the person needs support, the local authority has a duty to ensure that services are provided. 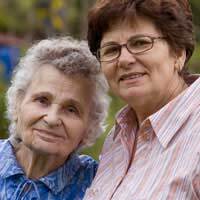 The local authority cannot arrange care services unless an assessment has taken place. Who Arranges The Community Care Assessment? If you care for someone and you think that more help is required, the best way to arrange for a community care assessment is usually through a GP. The doctor will make a referral to social services. However, you or the person you care for can contact your local social services department directly and request a community care assessment. There is frequently a delay in getting an appointment and if you think the delay is unreasonable, chase the social services department and explain why there is an urgency. Do you help with meals, medical care, getting out of bed, bathing, toileting, getting dressed, housework, shopping, gardening or pet care? Are there any practical aids that would make life easier such as a stair lift, grab rails or ramps? Would it help if there were adaptations made to the home – lowering kitchen units, widening doors, installing a shower? Do you or the person you care for need help in understanding the benefits system? Do you work and wish to continue to do so? What Does The Care Assessment Involve? Community care assessments are usually carried out by one or more social workers and should involve talking to the person you care for as well as yourself. The local authority needs to evaluate the person’s health and disabilities and consider what they can and cannot do for themselves. They also need to consider the person’s present living arrangements and assess whether or not they are appropriate. If there are complex needs, subsequent appointments may be made to assess if the person requires nursing or other expert care in addition to that provided by social services. It is very important that you and the person you are caring for makes clear your worries and concerns, even if they differ. You should also make clear what types of care service you would like and how they could be most conveniently provided. Once a social services department has decided that a service should be provided to the person being cared for, then it must be provided, whether or not the local authority has the money. Services cannot be withdrawn unless social services carry out a re-assessment of the needs of the person you are caring for. However depending on their income, a contribution to the costs of services will be required from the person receiving them. my local authority have been very poor at offering support to my mum she is very ill and they expect her to travel to a day centre which is 5miles from her home without transport. No other services have been offered. I not only care for my mum I care for an older sister with learning disabilities as well. I think it,s disgusting I am ill myself, and will have to consider giving up caring altogher if some support is not given.